for the thrill of the hunt, for the males anyway. Male Yautja stand an average of 250 cms, weigh about 200 pounds, whereas females tend more to the 300 cm mark and weigh a lot more too. The males only hunt, and the females generally stay at home. Yautja usually live for around 350 years, with dominant and strong yautja tend to live longer. Their hair is braided into thick strands, and it continues to grow this way afterwards. It is a long and painfull process, with any tiny wince of pain and the whole process is restarted. Yautja skin is usually about 1 to 2 cms thick, and their skull is a massive 3 to 4 cms thick, making headbutting quite a deadly weapon. Their masks or helmets are all personally individualised, making no two look the same. are blooded on human hunts and about one third are on both queen hunts and 'huge' hunts. There are many positions on a hunt, with the most honourable being up the front, least to the back. Queen hunts are especially different to other hunts, because their strict objective is to get a queen unharmed into their ship, to 'seed' another planet for hunting. Each blooded yautja takes part of the queen, bound by dlex, (A rope-like material stronger than diamond), while the leader cuts her off her egg sac. 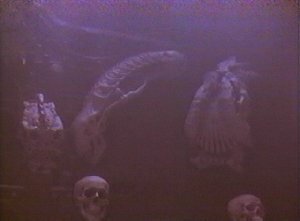 The unblooded provide cover as the other yautja move the queen to their ship. Blooding is a ritual that dates back to the very early days of yautja history. It involves the leader of a hunting party taking the finger of a young Yautja's first honourable kill, when they show they are good enough to join the yautja elite. The leader puts his mark between the eyes of the student. 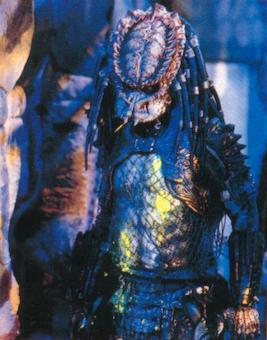 Afterwards the yautja is held in high regard and is allowed to hunt humans. 1.Check your target before firing. Shooting a fellow hunter is at the height of bad manners. 2. No Unblooded is allowed to hunt Pyode Amedha. The penalty is death. 3. No yautja is to murder another yautja unless conditions apply. The penalty is also death. 4. Dishonourable kills are not scored. 5. During a queen hunt, if a yautja's postion is lost, that postion is not to be taken unless under order. 6. Do not interfere with someone else's fight or kill. Penalty is rank deduction. 7. All yautja must obey the highest in command. 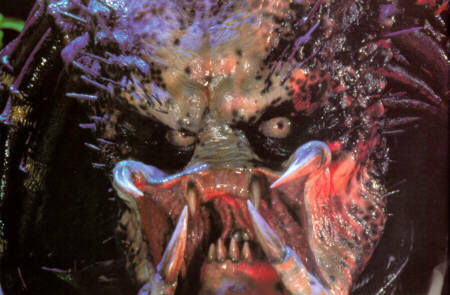 Unblooded - About 35% of male yautja are unblooded. Blooded - About 25% of male yautja are blooded. Retirees - About 25% of male yautja are retirees, yautja who have fought their time and now are too old and honoured to hunt. Females come under this section. Adjudicators- The adjudicators are the admin and law yautja. These are often seen as 'not real yautja'. They include huntmasters and world leaders. About 13% of Yautja are adjudiucators. Bad Bloods- These are the criminal yautja whom have been sentenced to death and escaped. Their justice system shows that crime is very low. About 2% of yautja are bad bloods. DISTINGUISHING FEATURES: Large head with four mandibles, small mouth inside, long braided hair, light brown to green to purple skin, extremely developed musclerature.